Home » Blog » TPV Podcast, Episode 281: How Many Vegetables?! TPV Podcast, Episode 281: How Many Vegetables?! 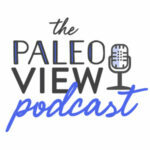 The Paleo View Podcast is co-hosted by Dr. Sarah Ballantyne, PhD (aka The Paleo Mom) and Stacy Toth, bestselling co-author of Real Life Paleo and Beyond Bacon, and co-creator of RealEverything.com. Matthew McCarry (the other half of RealEverything.com) produces the podcast. Our team members also help with various aspects of production, like the creation of these Show Notes and shareable graphics. In this episode, Stacy and Sarah discuss the health benefits of vegetables and how many you should be eating. If you enjoy the show, please review it in iTunes! 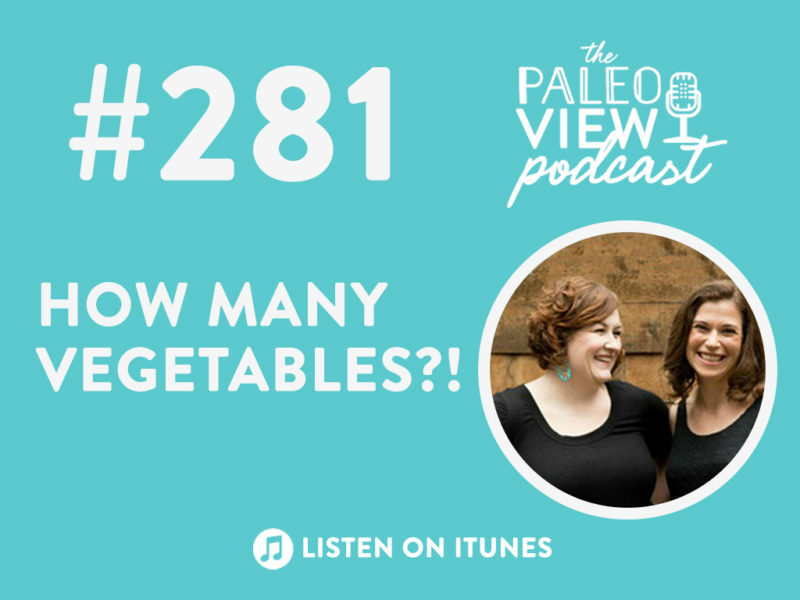 The Paleo View (TPV), Episode 281: How Many Vegetables?! Stacy is doing a “souping” routine. Follow her in her Facebook group for more! You’d be best served by up to 8 servings of vegetables, but a serving isn’t as big as you think! Please Rate and review us! This 6-week video-based online course will teach you the scientific foundation for the diet and lifestyle tenets of the Autoimmune Protocol. Think of this course as going to college for your health! Boost Your Nutrition with Veggies! 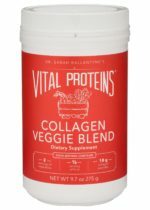 Each serving of Dr. Sarah Ballantyne’s Collagen Veggie Blend contains 2 servings of whole organic vegetables, 1/2 serving of high-antioxidant organic fruit, and 10 grams of protein from collagen peptides! It stirs easily into water and is 100% AIP! You can now choose from 20oz or 10oz. 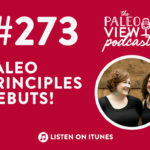 TPV Podcast, Episode 273: Paleo Principles Debuts!